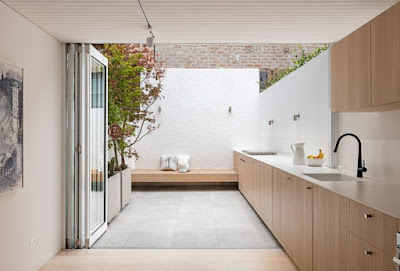 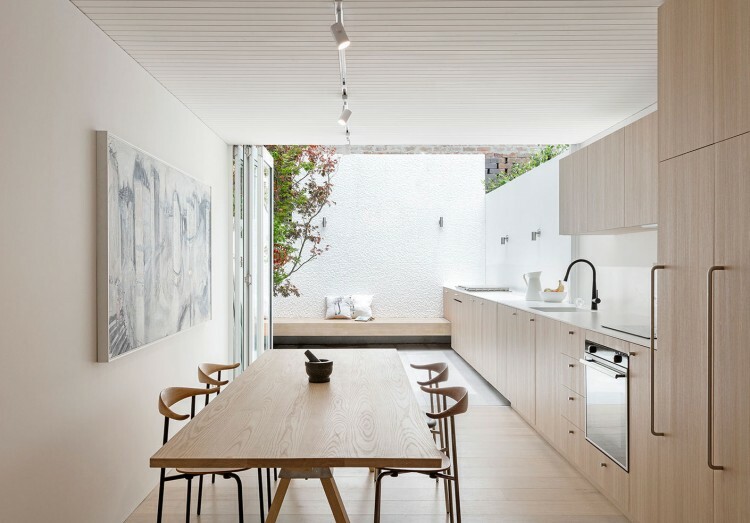 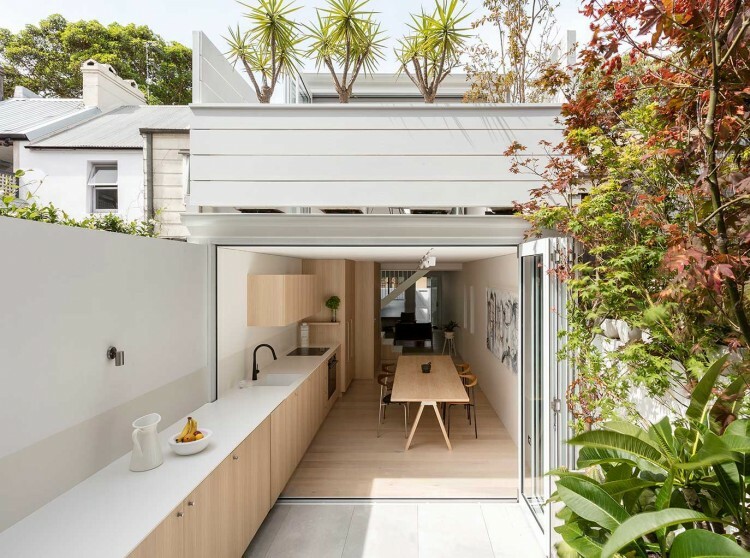 The ultimate indoor-outdoor kitchen in a home in Sydney - according to the feature, "Sliding glass doors—and some architectural magic—enable the territories to merge, and weather-resistant materials allow for a counter that extends all the way from cooktop to integrated open-air grill." 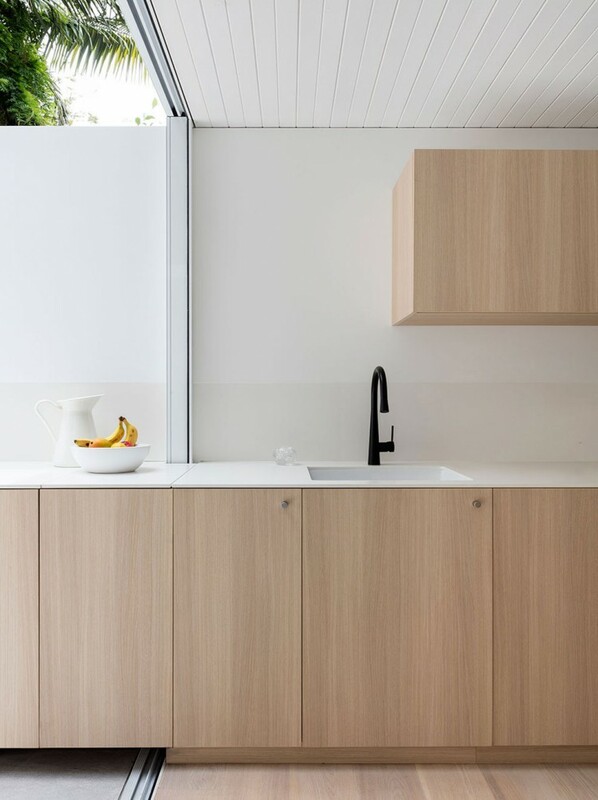 The countertops are Dekton and the cabinets are limed oak. 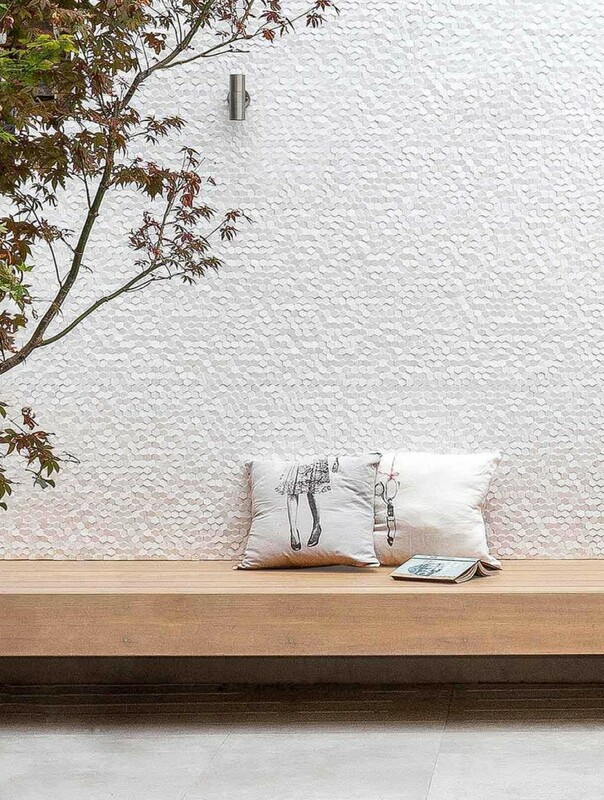 The hex wall tile was installed to reflect light - and is absolutely beautiful!